Have you ever wondered where world famous explorers go to rest before beginning their next expedition? 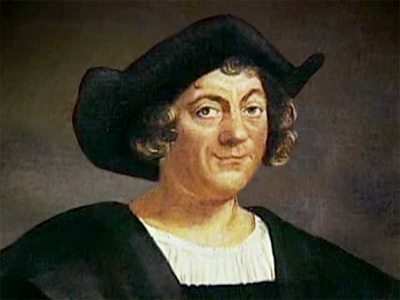 15th century explorer Christopher Columbus resided on the tiny island of Porto Santo for a few years after marrying his first wife. The many years since have seen hoards of explorers from sun-seekers and beach lovers, to walkers and divers, visit the island and relax on its golden shores. This quaint island is just seven miles long and four miles wide, but despite its size it offers its guests everything they could possibly want. With exploring easier than it ever has been before we’ve looked into what the 21st century explorer might find on the island of Porto Santo. The first place visitors to Porto Santo may find themselves on their venture is on the island’s five mile long, glorious golden sandy beach. The beach stretches from the island’s capital, Vila Baleira to Ponta de Calheta and is split into several areas. Each beach has its own name and atmosphere with offerings from sunbathing, to scuba diving and snorkelling. The sand is also known for its therapeutic properties which is said to ease or even heal rheumatic aches and pains. For exploration by foot Porto Santo is an excellent destination for ambling walks along the beach, or for more advanced walkers the island’s mountains offer brilliant pathways and spectacular views. Climbs up Pico do Castelo, Pico do Facho or Terra Chã allow you to discover the islands volcanic structures and explore the rugged terrain that sits in contrast to the golden beaches. For city-explorers the laid-back capital of Vila Baleira is far from other capitals by the sea. This charming town is home to most of the population of Porto Santo and is founded from the site of the islands first settlement back in the 15th century. Here you can find Casa de Colombo, now a museum it was once the house in which Christopher Columbus is believed to have lived. Explorers aiming to discover a place and its culture through their taste buds will be delighted with the fantastic cuisine in Porto Santo. The island has a range of restaurants and bars, both of which liven up at the weekends as residents of Madeira cross over to enjoy the atmosphere. Many of the restaurants are located on the beach which adds to their ambience, enjoyed after a busy day exploring or from simply relaxing on the beach. Despite its size and small population, the vibrant Portuguese culture is renowned for its carnivals. São João and Municipality Week are two festivals combined over four or five days around 24th June 2013. Or for wine-lovers, the last week of August sees the Porto Santo Wine Festival which celebrates the islands often excellent grape harvest. Those who deem themselves the ultimate explorer and for those with an interest in history, the Columbus Festival in September portrays a re-enactment of Columbus’ arrival to the island and celebrates the culture of Porto Santo. …or for longer depending on how long you wish to stay and enjoy this island escape! Hotel Porto Santo is situated on the beach offering direct access to guests and is ideally located for those wishing to explore the local area, or simply take pleasure in their surroundings. Aside from the beach, Hotel Porto Santo is surrounded by open countryside and Vila Baleira is a just short journey away. Porto Santo boasts its own airport and direct flights are hassle free from the UK, making your island discovery that little bit easier.